With the theme “Building Sustainability and Resilience in Tax Administration”, Fiji hosted the 39th Commonwealth Association of Tax Administrators (CATA) Technical Conference at the Sheraton Fiji Resort and Spa, Nadi, Fiji from Monday and it ended yesterday. Thirty-three Commonwealth countries comprised of 135 delegates who attended the conference including the CATA President representative Abu Tariq Jamaluddin, outgoing chairman of CATA representative Dhanraj Ramdin, vice chair of CATA Jon Swerdlow, executive director of CATA, Duncan Onduru, Minister for Revenue, Samoa Tialavea John Hunt and Associate Minister for Revenue, Samoa Afioga Lenatai Victor Tamapua. CATA Executive director, Duncan Onduru emphasised that the annual CATA event has over the years been used as a global pulse to reflect on how members can best respond to emerging challenges in the area of tax. Executive director CATA emphasised that on the global arena, majority of our member countries are grappling with numerous issues. inability of revenue mobilisation to meet the developmental needs putting pressure on tax administrations to plug the huge fiscal deficits. and resilience in tax administration to confront these challenges – hence the theme for this year’s conference”, he added. 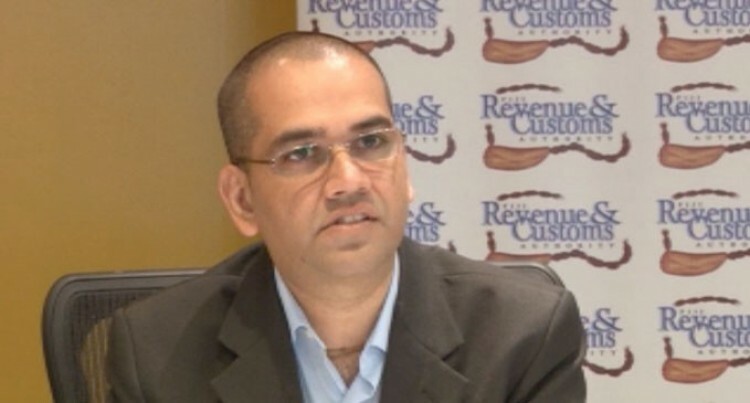 Fiji Revenue and Customs Service chief executive officer Visvanath Das while delivering Fiji’s opening remarks said that “the theme for the conference was befitting for the fast evolving and competitive environment of the 21st century”. Mr Das said: “Despite our geographical locations and differences, we all operate in environments that are void of certainty and predictability; where the ever changing role and mandate of Tax administrations creates the need for constant organisational reforms to enable us to respond to new and emerging challenges in a timely manner”. He said:“One emerging issue which tax administrations have traditionally shyed away from is in communications and how we improve and enhance our services to our customers, through use of various mediums to ensure we encourage voluntarily compliance”. In closing Government’s opening remarks Mr Das congratulated CATA and its members on its ruby anniversary that commemorates 40 years of global partnership before declaring the 39th CATA Technical conference officially open. The Conference had nine technical sessions and concludes yesterday.